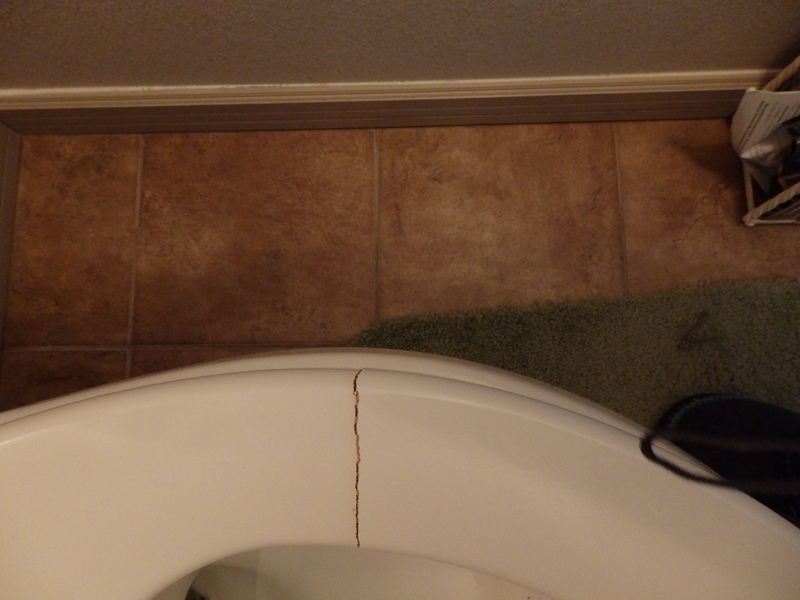 Nothing Says “Hey Fatty” Like Your Toilet Seat Snapping in Half While Your Sitting on it!!! Some days it seems that every time I turn around something else is breaking. Today was one of those days as I walked in from church and discovered the turtle tank light burnt out then went to the restroom, sat down, and hear a loud snap!! It was as if my toilet said “Oh snap here she is again! !” The entire situation was hilarious to me as well as the rest of our family. Well God can speak life lessons through broken toilet seats as well. With the drama of home improvements and the fact that nothing is made to last this broken seat reminded me even more of how fleeting all material things are. Where am I putting my energy, thoughts, and worth in this life? Where am I putting the burdens of this life? Am I trying to carry the load myself? Am I placing my worth in things of this world that truly are not what they are “cracked” up to be? Where can I truly find “rest”? Clearly not in the “rest”room today. This experience reminded me that Jesus said in Matthew 11:28 “Come to me, all who are weary and carry heavy burdens, and I will give you rest.” I can “rest” in complete confidence in the fact that Jesus will not “crack” or break when I place all my cares, burdens, and sins upon Him. He is the only true “rest” that can be found in life.